Learning to pronounce Chinese properly comes with a number of challenges, some of which all learners of foreign languages encounter. In general, we need to learn two things. First, we have to learn how to pronounce and distinguish sounds that don’t exist in our own language. It is only natural that we find this difficult sometimes. We also need to understand tones and intonation, both being quite different in Chinese and English. With practise and a good teacher, these challenges can be overcome. Second, we need to learn how these sounds are written. Most importantly, learning how to write sounds enable us to study pronunciation properly. It’s also more or less a requirement in modern society, because most Chinese input methods on computers and phones are based on typing the sounds rather than the characters. The currently dominating romanisation system is called Hanyu Pinyin (汉语拼音), but there are many others. 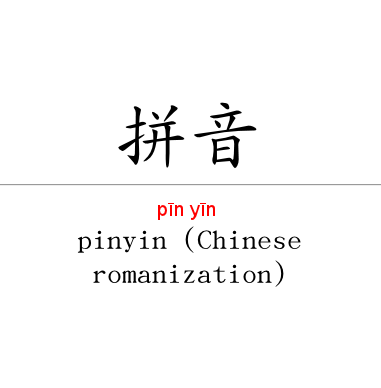 I will write about other romanisation systems in other articles, but since Hanyu Pinyin (henceforth just Pinyin) is completely dominating, that’s what this first article is about. In this article, I don’t intend to argue that Pinyin is better or worse than any other system. Instead, I’m going to focus on some of the traps and pitfalls that students might fall into while learning Pinyin. In other words, I will highlight some tricky parts that I know from experience that students find difficult (I have taught a number of beginner classes in Chinese). I intend to discuss these problems so that we can learn how to overcome them. This article is for any student who is learning or who has learnt Pinyin. Some of the things I mention below took a long time before I noticed or read about, so even advanced learners might find this interesting. Before I start going into details, I want to say a few words about learning to pronounce Chinese as a beginner. Learning proper pronunciation is a matter of taking responsibility. If you’ve just started learning Chinese, your teacher will probably help you a lot, but the likelihood is that you won’t receive as much help once you’ve learnt the basics. Don’t forget: If your teacher doesn’t correct your pronunciation, this is most likely not because your pronunciation is perfect. You have to ask specifically for some teachers to keep on correcting you beyond the stage where you can make yourself understood. Likewise, if native speakers praise your Chinese, be happy, but don’t use it as an assessment of your actual ability. Your teacher should have already told you what I’m going to bring up in this article, but since I know that many teachers don’t do that and that many students still make these mistakes, I think these problems are worth highlighting. Also, some students learn on their own without a teacher. The list of issues below isn’t exhaustive, but I have tried to include those problems that learners are likely to be less aware of. Thus, I have not included “i”, “u” and “ü” changing at the beginning of syllables (to “y”, “w” and “yu” respectively), since I think most people will have already learnt this in their first week in class. The definition of “less aware of” is very vague, though, so if you have suggestions for additional issues, let me know! Please note that these problems usually arise because of a poor understanding of Pinyin. This might be because the teacher doesn’t explain well enough, because the textbook is bad or the student isn’t paying attention. It doesn’t really matter which, the important thing is that there are some problems and those need to be addressed. Something should also be said about dialects. Mandarin is spoken by hundreds of millions of people over a vast area. Naturally, there is a lot of variation going on. I’m not writing this article to say that all other variants of Mandarin are useless or bad in any way. Still, I think most people should and want to learn standard pronunciation to start with, even if I encourage people to experiment with dialects later on. Why is Pinyin so confusing? Most of the phonetic symbols I use here are from San Duanmu’s The Phonology of Standard Chinese, a book I thoroughly recommend. I have included some samples here as well, thanks to Zoe for those! In case you’re curious about the dialect, she’s a teacher from Beijing. Spelt iu, pronounced iou – The syllables diu, liu, niu, etc. are pronounced as -iou and should rhyme with e.g. 有 (“have”), so you and liu using phonetic symbols are written as [jəu] and [ljəu] respectively. Just don’t forget the -ou sound and you’ll be fine. For a more detailed discussion of this sound, check my answer here. Spelt ui, pronounced uei – Syllables ending with -ui, such as dui, tui, shui, sui, etc. are actually pronounced as if ending with -uei, which is [wəi] in phonetic symbols. Thus, dui should be pronounced [twei], having the same final as mei, fei, dei, etc. Here’s how dui and mei are written with phonetic symbols: [twei] and [mei]. Don’t forget the rounding of the lips on [w]. Listen (dui, tui, shui). Spelt un, pronounced uen – Syllables such as lun, dun, shun, zhun and so on are all pronounced almost as diphthongs (double vowel sounds). Using IPA, sun would thus be written [swən], but it might help to think of this as su + en. Don’t forget the rounding of the lips on [w]. Listen (lun, dun). The syllables bo, po, mo, fo are actually pronounced buo, puo, muo, fuo (listen), which means that they rhyme with duo, tuo, nuo, luo and so on (listen and compare). Using IPA, this sound is written [woo]. For example, bo and duo are written as [pwoo] and [twoo] respectively. As we can see, these syllables rhyme. e – This letter is actually pronounced in three different ways (or four if you want to be picky). First, in final position and when it’s the only vowel, it is a close-mid back vowel [ɤ]. Second, following an i, such as in lie, die or xie, it becomes a close mid front vowel instead, [e] (note: sometimes the “e” in e.g. mei and mie are rendered differently, with the second using [ɛ]). Third, before the nasals -n and -ng it becomes central vowel, [ə]. Compare (listen): le [lɤ], lie [ljee] and leng [ləŋ]. a – The letter a can also be pronounced in three ways. First, as an open central vowel [a], in these combinations: ia, ai, an. Second, if followed by a nasal ŋ or -o, it’s pronounced as a back open vowel [ɑ], such as in -ang, -ao, -iao, -iang. Third, it can also be pronounced as close-mid front vowel, [æ] (or [ɛ]) in -ian (including yan) and -üan. Compare (listen): lan [lan], lang [lɑŋ] and lian [ljæn]. i – The letter i represents some wildly different sounds in Mandarin. First, it’s a front closed vowel [i] and occurs in: mi, bi, ti etc (listen). Second, it can be pronounced further back and slightly more open [ɪ] in -ai and -wai. Third, i represents the empty rhyme following z, c and s (this sound can be described in many ways, but it’s fairly close to English [z]). If it helps, think of these sounds as zz, cz and sz (listen to the first three syllables). Fourth, it also represents the sound following zh, ch and sh. This is the same as the previous sound, but pronounced in the retroflex position (i.e., the tongue is retracted and raised as when producing the zh, ch, sh sounds; the tongue doesn’t move much). This sound is also fairly close to a thick, retroflex r, so it’s possible to think of these sounds as zhr, chr and shr (listen to the last three syllables and compare). Be careful not to insert another vowel sound between these! Many students pronounce zhi as zher or zhe. These pairs cause problems, because many students look at the spelling and see the same letter and therefore conclude that the vowel sound in -in is identical to the vowel sound in -ing. This is not the case. In standard pronunciation, the quality of the vowel sound is different in e.g. yin and ying. The first only contains a single vowel sound, whereas the second is a combination of i and -en and is almost pronounced as a diphthong. Compare (listen): yin [in] and ying [jəŋ]. In the case of -an/-ang and -en/-eng, it you can clearly hear that the nasal [ŋ] influences the preceding vowel. Listen and note that the sound is farther back in the second word in these two pairs: lan, lang and ben, beng. Actually, the way -n and -ng are pronounced causes some problems, because it’s not entirely the same as in English. The -n is close enough, but the -ng is pronounced much farther back in Chinese than in English, making the difference between the sounds bigger. However, note that depending on region, many native speakers can’t distinguish these two phonemes and pronounce both as -n.
After a while, most students ask themselves this question. Why all the irregularities? It’s easy to explain why English spelling is irregular (it wasn’t designed, it has evolved for over a thousand years), but Pinyin is a relatively modern invention. I’m not going to go into details here, but I just want to point out that there are explanations for most oddities, which means that they aren’t really oddities at all. Why is ü sometimes written u? It’s only written u when there is no ambiguity. For instance, xü is redundant, since there is no xu sound in Mandarin. Thus, using u for words where there is only one sounds saves some diacritics and is easier to use once you’ve learnt it. Considering that Pinyin wasn’t designed with foreign students in mind, this becomes a lot more logical. Why does the spelling of u, i and ü change at the beginning of words? Let’s use a common example, the word wenyan, which is pronounced uenian. However, as you can see, the second spelling is a bit awkward, because it can be parsed in many different ways (u-en-ian, uen-i-an, etc. ), wenyan on the other hand can only be wen-yan because w and y can only occur as initials and there is no risk for misunderstanding. Have you ever typed the name of the city 西安? In most input systems, you will get the syllable xian (such as in 先) and need to add an apostrophe and type xi’an. If we didn’t have w, y and yu at the beginning of words, this would happen much, much more often. Why all the confusion with one vowel, many sounds? This is because the Chinese syllable is typically broken down into three parts: initial, medial and final. Thus, you shouldn’t think of each letter as being a separate unit, but rather being a part of one of either the initial, medial or final. If we look at a, we should regard -an, -ang and -ian as three different units. Sure, they all contain the letter a but you should learn the pronunciation of these units, not of the individual letters. I have taught Mandarin pronunciation a lot, both to individuals and in bigger classes. Most of the things I’ve written here I have found out along the way, some things at the very beginning, others much later, sometimes by reading up on phonetics. I hope this guide will help you to improve your pronunciation in Chinese! Plus r- ← But people tend to pronounce it like an approximant, so the voicing is weaker and the following empty rhyme or final is more obvious. And I wonder whether the -r in er-suffixation also counts (consonant overlap: one r with many sounds). I fixed the spelling mistake you pointed out in your comment, no worries. 🙂 Regarding the pronunciation of -uo, the difference is reflected in both Hanyu Pinyin and Bopomofo (compare bo, tuo, etc.). However, even though there might be a slight difference, I think it should be pointed out that these sounds are much, much closer than some other sounds that are given the same spelling. Also, I think it’s hard to say what is the “correct” way of transcribing this sound. Duanmu uses the same phonetic symbols and he’s not alone. The fact that it’s different from Bopomofo doesn’t mean it’s wrong. Thanks for pointing out r- and -er, I just plain forgot about them. As you say, there are a number of different ways both of pronouncing and transcribing r-, but should still be mentioned. I think 兒化 should also count, although I don’t consider that crucial in this case. I have added r- to the article, thank you! About Duanmu’s book, the errors I mentioned have nothing to do with the symbols actually. :p Those are fine. It’s about overgeneralizing partial facts. I remember there’s section on Taiwanese accent in that book. It’s a useful reference and worth reading, but I think the samples the author collected were not sufficient enough to represent all the traits in Taiwan. It has been a long time since I read the book. I need to confirm it. Oh, my God. It should be “a section.” Another negative transfer from Chinese, ha. Thanks for the discussion on Twitter. I finally managed to make it home and track down some of my old textbooks. According to Ladefoged’s contribution to the Handbook of the International Phonetic Association, under the conventions section for American English, the consonants [b d g] “have little or no voicing during the stop closure, except when between voiced sounds”. Though my scrawled margin notes show that my lecturer seemed much more insistent that we transcribe using [p t k] instead of [b d g] than the handbook suggests. Seems to be more a case of allophonic variation, so I’d like to retract my original, more definitive, statement on the subject on Twitter. Thanks for challenging me on it, as it’s helped my understanding further. And, again, a great article! It is I who should thank you for the challenge! I wrote that paragraph without thinking too much and only realised that there might be a possible problem once you raised it. I think challenging and being challenged in a reasonably friendly way is an excellent way to learn, which is partly why I like publishing articles like this and discussing them with people. Regarding these stops, as I said on Twitter, there is a significant difference between English and Chinese, but it’s not as clear cut as I made it look. As you point out, these stops are often voiceless in English too and there is aspiration as well, although perhaps most native speakers don’t realise it (compare p in spin and pin). So, thanks again for highlighting this! This is probably an error at your end, the audio works perfectly here and the sound files are available on the server as intended. Based on the error message, something’s wrong with your proxy, but based only on that error message, I have no idea what. You probably know more about thees things than I do anyway! You could try right clicking and saving the audio instead? In any case, the links work fine for me. yup, sorry about that, I only get that message on my Android phone … using Chrome Beta. Works ok on other Android browsers, on a PC, and on iPad. I think Pinyin is more practical to use and I type relatively quickly with Dvorak + Pinyin input, switching to Zhuyin would seriously decrease typing speed for a long time. I also find it easier to write by hand, although that’s mostly because I haven’t used Zhuyin in a while and wouldn’t be a big problem if I decided to start using it. From a pronunciation perspective, I think it’s worth learning Zhuyin simply because you’re not as constrained by orthography. This benefit is two-fold. First, you are less likely to suffer transfer from your native language, but instead forced to just listen. This can of course be done with Pinyin is well, it’s just that you have no choice with Zhuyin. Second, there are studies that show that orthography does influence both production and perception of a foreign language. Thus, it might be the case that it’s actually harder to hear/pronounce sounds that are not present in the written system (there are many examples in this article). As you can see, this topic is complicated enough to merit an article of its own, which is indeed in the pipeline! Zhuyin indeed doesn’t suffer from the problem of transfer, though I agree that pinyin is much better for typing, since it’s actually trying to map against the English letters on the keyboard. On the other hand, pinyin is too dominating for foreigner’s good. Foreigners should treat pinyin like romanji. Regarding the pronunciation of b/p, actually Chinese and English are similar in that the feature that differentiates them is predominantly aspiration, not voicing. English does have sort-of voiced consonants, but there’s a voice-onset lag (the voiced part comes slightly after the articulation)so they’re arguably not truly voiced. What this means is it’s not really worth fretting about ‘b’ in Chinese if you’re a native English speaker. P is more or less ok, but in Chinese the aspiration is stronger. For an English speaker, that’s a very easy minor adjustment. If you’re learning a language like French or Russian which have truly voiced consonants, people can have difficulties understanding you if you don’t work on differentiating voiced/unvoiced consonants, but in Chinese it’s a very minor difference. Yes, I agree with at least the first part. However, I don’t think that mastering voicing in Chinese is necessarily an easy task for English speakers. Sometimes adjusting existing categories is much harder than creating entirely new ones, at least if we look at a slightly longer time period (it’s of course easier to approximate similar sounds, but it might be hard to move beyond this early approximation). Having taught a number of people with English as their first language, I don’t think that aspirated initials in Chinese are easily mastered, but I do agree that the unvoiced, unaspirated initials typically aren’t a problem since they can be understood even if pronounced as they are in English. Man that`s fantastic, why don`t you compile all that information spread to your posts (and the other useful things you know from other sites and books as well) in one simple guide in text/pdf? As a recent learner I fell that the biggest problem is that all that information is spread between so many real and virtual pages that ones can`t get it without wasting hours reading unrelated things or thing he already knows, add to that the differences and contractions between different authors and the problem becomes even bigger. The ideal guide would contain almost everything you need to know about grammar and pronounce without spending too much time discussing about simple and conceptual stuff but without hiding all the details that courses and teachers won`t tell you. I am in fact working on just such a guide, which is meant to be something like a Hacking Chinese 101 that goes through everything you really need to know without focusing too much on in-depth discussions and detailed descriptions. The problem I face when writing anything like this is that if I could somehow magically transform what I want to write into a book, it would be ten thousand pages long, so I need to figure out what to focus on and how to limit the scope. This isn’t easy! I have to disagree with the bo/po/mo/fo pronunciation. It’s pretty much standard to transcribe these finals the same way as those ending with -uo when doing phonetic transcription. The reason many native speakers feel that this isn’t right is that 1) it’s not spelt like that (which matters) and 2) there is a lip-rounding element in the initial already, which makes the “u” part less distinct. It’s still there, though. No. The lip rounding comes from the consonant, not the vowel. You are trying to map the sound back into English, that’s why you are hearing it. Mandarins are not stickers about pronunciations the way English is, because it’s not a phonetic language. All the “implicit” sounds you hear are unimportant to Chinese, and trying to distinguish the way you do is what makes learning complicated. Yes, the lip rounding comes from the consonant, but influences the following vowel in such a way that many linguists transcribe the vowel sound in e.g. bo and duo the same way. I’m not basing this on what I hear. I think treating similar sounds the same way makes learning easier. Any linguists transcribing as such would be wrong, as these sounds are different to Chinese’s ears, and combining them is forcing a foreign view onto Chinese. It would be like Chinese telling French that /d/ and /t/ are similar sounds because they are indistinguishable to Chinese’s ears, so therefore should be treated the same. This is a very offensive comment. Your wife a strong bias against mainland Chinese. The standard pronunciation for Putonghua and Guoyu is based on Beijing. Saying that mainland Chinese people have an accent while speaking 中文 is even more ridiculous. Firstly, you are confusing 中文 with a fixed pronunciation in general. Secondly, you claim that people from Taiwan don’t have an accent. In fact, the way Taiwanese people speak is artificial because they imitate a form of speech that is not native to the island. A final point is the extreme political stance on simplified characters, which contradicts with the daily use of 台灣 instead of 臺灣. Shouldn’t “dui”, “tui” and “shui” be pronounced “duei”, “tuei” and “shuei” and not as they’re written? Because I think one of the sound files is a mistake. Overall, I think this guide is helpful. I just listened to the sound file and I think it sounds perfectly normal (according to the description in the article)! Just to make sure we’re talking about the same thing, I’m referring to the sound file with dui, tui and shui. It is slightly tangential to this discussion, but Hanyu pinyin is not only confusing in its own right but also tends to be reinterpreted according to the wide range in variation of Indoeuropean language backgrounds. In particular, I am very aware that the vowel quality implied (but not explicitly indicated) is often assumed by some English speakers but is entirely foreign to others like myself. (Just listen to someone from central Scotland pronouncing “way” or “now” and compare it to the same from Northern Ireland or the south of England – worlds apart!) It becomes a moot point whether the vagaries of a script that is never actually used in practice, i.e. 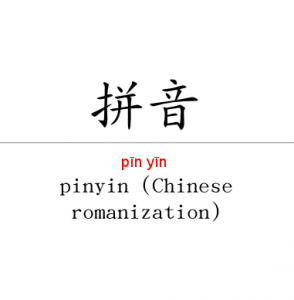 pinyin, is worth bothering to learn. The detailed description of its quirks above certainly seems to suggest that it isn’t. Let’s be technical. What’s the 4th way of prounouncing e? That gives us four readings: [e], [ɛ], [ɤ] and [ə]. 1-The gods of phonetics are testing my faith. 2-They pronounce those sounds halfway in, so nobody knows what symbol to use. I doubt that, they all seem very different to me. 3-There’s no such thing as a (specific) standard vowel position for mandarin, so everybody draws conclusions based on different accents. I also consulted a third source, and surprisingly enough, it was different from both what I learned and this post. It took a while to convince me that the second is more accurate. It’s very seldom the case that people pronounce a full [o] in this syllable and it’s more like the tongue passes [ə] on its way to [u]. If you combine [o] and [u] after [i/j], it does not sound natural and is very hard to say. It’s definitely not [ɤ]. That sound is very far back and no-one I’ve heard pronounces the “e” in 冷 as the “e” in 餓. Of course, if you have defined [ɤ] in some other way, you might get away with it, but I think [ə] is much more accurate. There is individual variation here, but the audio is recorded by a native speaker born and raised in Beijing who has passed all the relevant pronunciation tests. It’s pretty standard to write any “a” preceeding “-ng” as [ɑ]. I have read MANY books about Chinese phonetics and I have never seen [ɐ]. I think it’s more debatable what to use for “-iao” and “-ao”, but the point here is that they are farther back than the normal “a”. I think the problem might be that this isn’t truly narrow transcription, people just make a difference between front and back “a” and don’t care about the details. This is surely enough for students, though. In the first case, this is certainly wrong. [œ] is rounded, and the sound in “yan” is definitely not rounded. I suppose you could claim the lip rounding of “ü” influences the following vowel, but I still find it very strange to use a rounded vowel to represent this sound. This is a matter of taste, I think. You can argue (as I have done) that the “i” in these syllables are slightly further back and more open than [i]. Very few people pronounce “lai” with a cardinal [i]. Still, I wouldn’t consider writing [i] instead wrong, just slightly less accurate. This is fairly common and the normal way of doing it in modern IPA. The reason I didn’t write this in the article is that almost no students have seen [ɯ] before. It also fails to properly account for the fact that the “i” in these sounds is an apical vowel and not exactly identical to [ɯ] in the IPA chart. In other words, you need to also raise the tongue tip to produce a proper zi, ci, si. If you combine the cardinal [ɯ] with the initial, you won’t end up with good zi, ci, si. Still, I think [ɯ] is the best way of writing this sound! I hope this makes things clearer! Wow thanks for this long answer, it actually made things more clear. I was noticing some of those things before, like when I say 字 it don’t look like つ despite being both written the same with IPA (I know there’re symbols for that but the book didn’t use them :). Considering that this didn’t affect my pronunciation I guess it was “good enough for students” like you said, still, I don’t like being left in the dust about how things actually work. But even if there was such a thing as a perfect IPA transcription it could only take me so far, nothing beats actual audio but a vowel chart would be way more helpful, I looked for one and didn’t find any, which I think it’s a absurd considering that I can easily find vowel charts for very “unpopular” languages like Lao. Those Chinese linguists probably already made a bunch of those ones for every accent on China but it seems that they aren’t googleble, so if you had any of those please share with us! I saw there are some resources linked in the article already, but still decided to add mine here as well. If somebody is looking for a Pinyin table with audio that works great on mobile, I’ve created this guide here https://www.pinyin-guide.com/. Hope it helps some learners who find this via search! Pingback: A Short List of Resources for Studying Chinese – Hello China! By my own observations, and confirmed by my teacher, most -in and -ing (e.g. jintian and mingtian) pronounced the same in Taiwan, but different on the mainland. The “e” in “feng li” (鳳梨 pineapple) sounds like an open o ⟨ɔ⟩ to me. A Taiwanese friend pronounced dian (either 點 or 店) with an “r” sound after the n, and said this is general for some -ian. “Pleco” app gives “dianr” in some cases. You have a typo in “the sound is farther backl in the second word”. Your comments 2014-07-09 at 15:29 and 2014-07-09 at 15:35 are the same? Yes, but standard Taiwanese Mandarin does make a clear difference, although many people don’t make the distinction. Most teachers do and you wouldn’t pass any pronunciation exam with a merge. The difference is usually more pronounced in northern China, though, so it’s much easier to hear. Yes, this is also common in Taiwan, but again not part of the standard pronunciation. This is common in northern China, but not in Taiwan where very few people use 兒化音 (which is what this is called) in natural conversations. In almost all cases, you can remove the r and it means exactly the same thing.